When I was a teenager I remember singing a song with the following words, “Signs of the times are everywhere. There’s a brand new feeling in the air. Just keep your eyes upon the Eastern sky. Lift up your hands, redemption draweth nigh.” Lately, I can’t help but notice that there really is a brand new feeling in the air. It’s a feeling of urgency. It’s a new surge of evangelism being shot into the veins of God’s people. There are prophetic signs everywhere we look. Surely the Lord’s return is not too long off. What prophets of old have been foretelling us through the scriptures for years, are now unfolding before our very eyes. Along with that there is a new surge of evangelism rising up. Young people are being drawn to Jesus. Old people are coming to or being drawn back to Jesus. The people of God are being directed to live lives of commitment that sometimes appear radical in order to follow Christ! It is a beautiful thing! However, there are still millions upon millions of people that don’t know Jesus or are dabbling in sin. Let’s take a minute to remember all that Christ has done for us, and all that He wants to do for others that still don’t know Him as Lord and Savior… Ephesians 2 NIV 2 As for you, you were dead in your transgressions and sins,2 in which you used to live when you followed the ways of this world and of the ruler of the kingdom of the air, the spirit who is now at work in those who are disobedient. 3 All of us also lived among them at one time, gratifying the cravings of our flesh and following its desires and thoughts. Like the rest, we were by nature deserving of wrath. 4 But because of his great love for us, God, who is rich in mercy, 5 made us alive with Christ even when we were dead in transgressions—it is by grace you have been saved. 6 And God raised us up with Christ and seated us with him in the heavenly realms in Christ Jesus, 7 in order that in the coming ages he might show the incomparable riches of his grace, expressed in his kindness to us in Christ Jesus. 8 For it is by grace you have been saved, through faith—and this is not from yourselves, it is the gift of God— 9 not by works, so that no one can boast. 10 For we are God’s handiwork, created in Christ Jesus to do good works, which God prepared in advance for us to do. Though I have never felt the call of an evangelist, even I have been feeling a stirring deep in my spirit to share the gospel with others as never before. Sharing the gospel is not just for preachers and evangelists. It is for everyone who follows Christ. 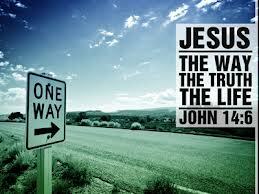 Jesus said in John 14:6 NIV “I am the way and the truth and the life. No one comes to the Father except through me.” If we believe Him, and we do, than how can we not share this with others that we know and love. I am certain of one thing, Christ did not call us to keep the gospel to ourselves. To live fulfilled lives in Him, with little regard for the tens of millions of others who are being sucked into the pit of Hell. We in North America, have often become comfortable and complacent in our walk with Christ. My prayer is that God will stir up the gift of faith that is in each one of us and that we will seek Him for daily direction in ways we can share the love of Christ daily with others. 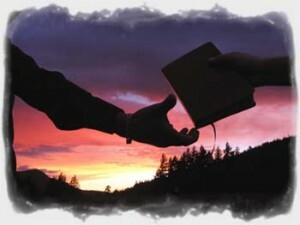 Not in deeds alone, but in sharing His word for it is by the hearing of His word that many are saved. Romans 10:17 NIV 17 Consequently, faith comes from hearing the message, and the message is heard through the word about Christ. Lord, I pray that throughout this year,we will draw closer to you than ever before and that you will give us a burden for those around us who need to learn of you. Keep us from falling into a state of comfort where we hoard our faith in you as others around us die in their sins. Stir up the gift of faith in us and a deeper love for others so that we may fulfill the purpose that you have called us to. As Jesus said in John 13:34,35 NIV 34 “A new command I give you: Love one another. As I have loved you, so you must love one another. 35 By this everyone will know that you are my disciples, if you love one another.” If we love others as Christ loves them, we will not be able to ignore their need for Him.